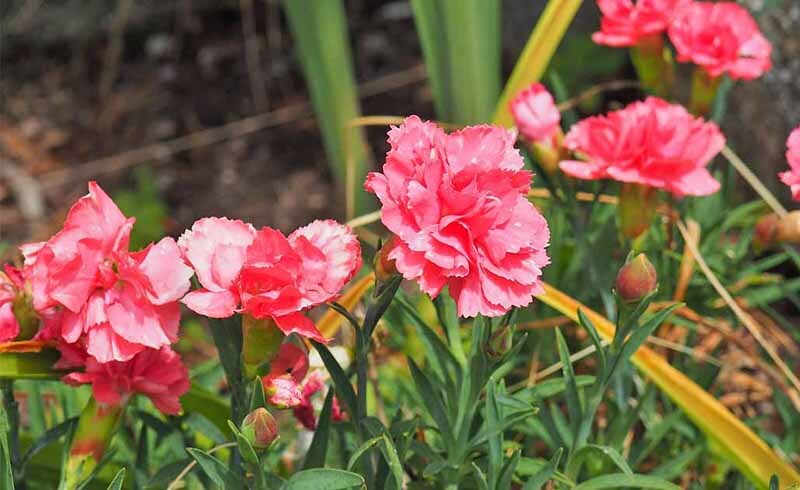 Everything you need to know about growing carnations, or dianthus, in your garden. Space plants about 6 to 12 inches apart. Dig a hole and keep the root ball level with the soil surface, pressing soil down firmly when you backfill around the plant. Add compost when planting, then mulch to retain moisture and control weeds. Water thoroughly. These perennials aren't super-fussy and come in a host of colors and sizes, ranging from creeping ground covers to taller types suitable for cutting. Your grandmother may have called some types "pinks" due to their fringed edges that appear to have been trimmed by pinking shears. Divide the clumps every few years in the early spring to keep them strong; just use a hand spade to chunk off a piece along the edges and replant elsewhere. Feed in early spring with a balanced fertilizer. If the plants start to look scruffy, shear off the top one-third of leafy growth and spent flower stems to rejuvenate. Some types bloom again later in the season. Dianthus typically don't like wet soils, so don't drown them. Using drip irrigation or soaker hoses, instead of overhead watering, also may help prevent some fungal leaf diseases. Some tall varieties might need staked to keep them upright. 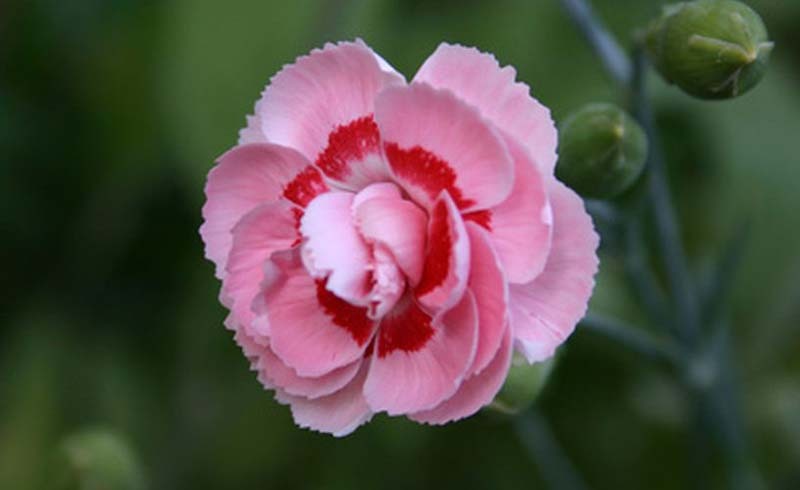 Are carnations difficult to grow? Not especially. They can take cold temperatures, and some types stay green all winter in mild climates. Make sure to choose a type that is suited to your area's USDA hardiness zone so it will come back next year. Do you need to cut off the flowers after blooming? Yes and no. Removing the spent flowers (called "deadheading") will increase the number of flowers and encourage repeat blooms in some types, but it isn't absolutely necessary. "Plant fragrant carnations in containers near entry doors to add a welcoming spicy scent," says Gary Vollmer, product and technical manager for Selecta North America. "They work nicely in combination pots or as a stand-alone plant."